Home > PlayStation 4 > Hyakki Castle is coming to consoles! 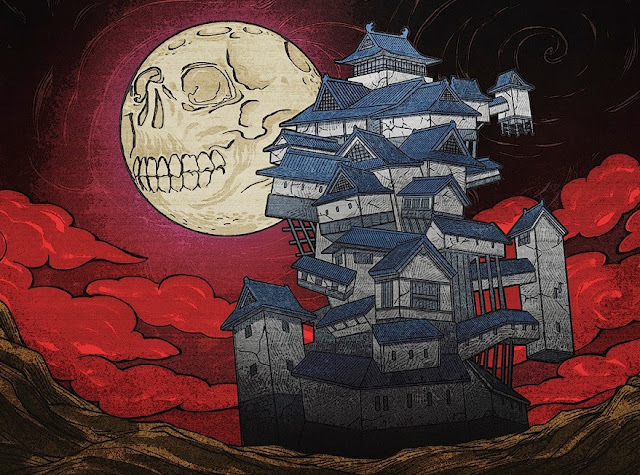 Hyakki Castle is coming to consoles! This is really great news. One of the better western-style dungeon crawlers (think Grimrock rather than Etrian Odyssey) is coming to console. Hyakki Castle which, despite being a western-style dungeon crawler mechanically, is very much a Japanese game, launches on PlayStation 4 and Nintendo Switch on August 30. Related reading: Our interview with the developer of the game. With a name like “Asakusa Studios,” you would expect that the development team has a love for classical Japan. Asakusa is known for being the place where people go for the old Japan experience, what with its infamous temple and shrine and old-style shopping street leading up to it. It’s one of those places to go for when you want to escape the modernity of Tokyo, and Hyakki Castle itself taps right into that. This is a really, really, really good game, and sadly it seems to have released without making the splash that it deserved to. Hopefully the console release can remedy that. Sadly there's no news of an English release just yet, but there is a translation sitting there, ready to go!